Take off your banking hat for a moment and think as a consumer about reward programs. 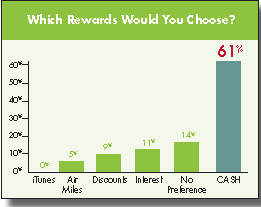 What types of rewards programs do you participate in? Why do you participate in them? Is it because you value and appreciate the rewards? Or do you just want to support a company that appreciates and values your business?